Yo im Looking For Some Doom Posters. 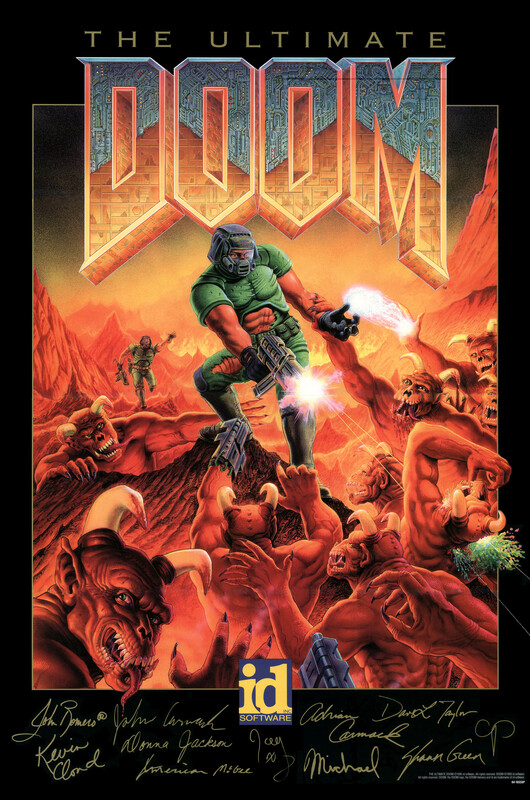 1.The Main Doom Poster when the game came out. Know where can i order these beside ebay? 3. The über cool Ultimate Doom poster. I Dunno if it's possible to buy these anywhere any more though. Probably not. Could i bring these files to the printshop and have them make it the size of a poster for a wall? Also When i mean Posters,I mean in png file format plus the Posters That you could order from id when the games came out which i remember were alot diffrent xcept for thy flesh consumed.Anyone have these files or links to them?